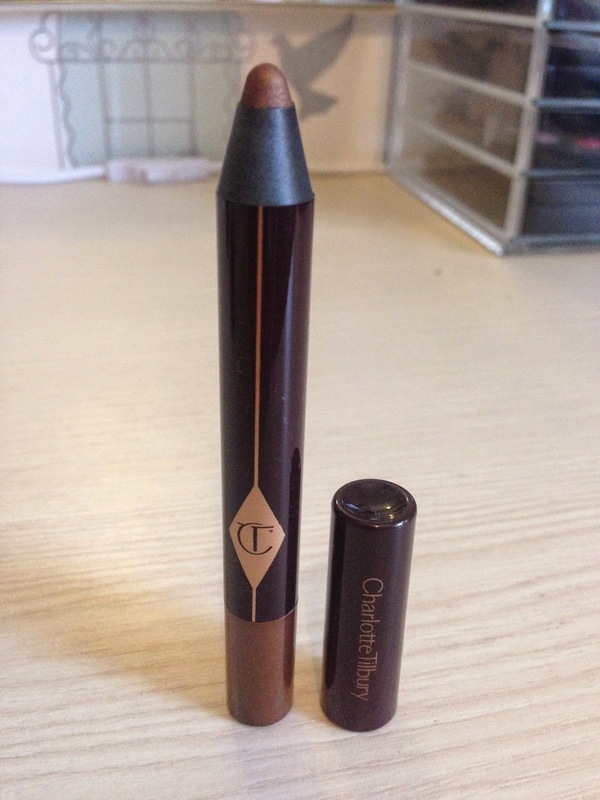 First off I finally bought a product I've been eyeing up for a while now: the Charlotte Tilbury Colour Chameleon in Amber Haze (£19). 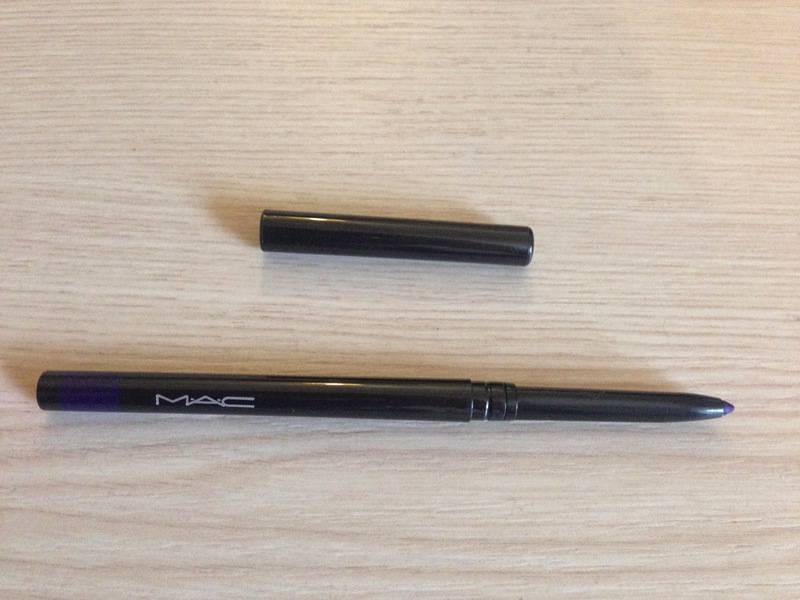 It's an eyeshadow pencil, so you draw it on and then you have a few seconds before it dries to blend it out. Once it's on it does not budge for the entire day, but when I use my cleansing water, it comes right off. I love the colour, it's just so multidimensional it's all you need to wear. It's also really easy to take this below the eye. Each eye colour has two complimenting shades, one for day and one for night. 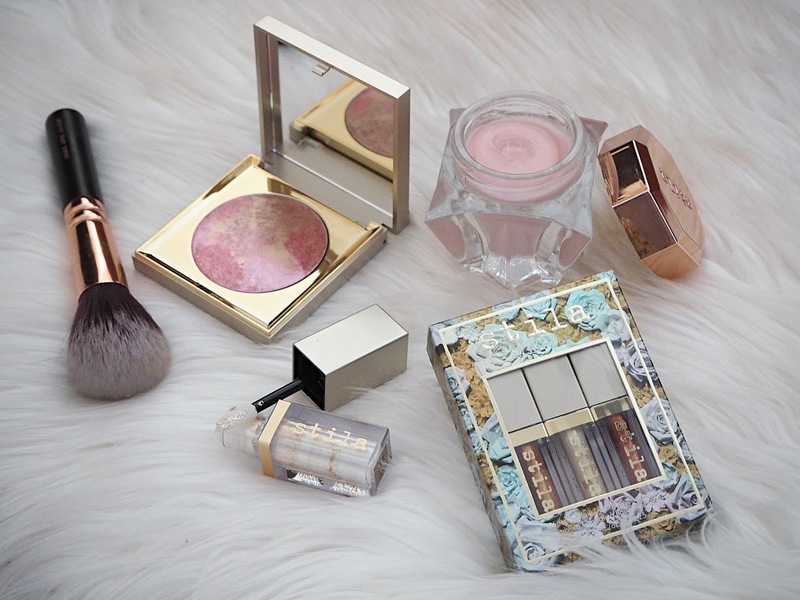 Plus, how amazing is this packaging! 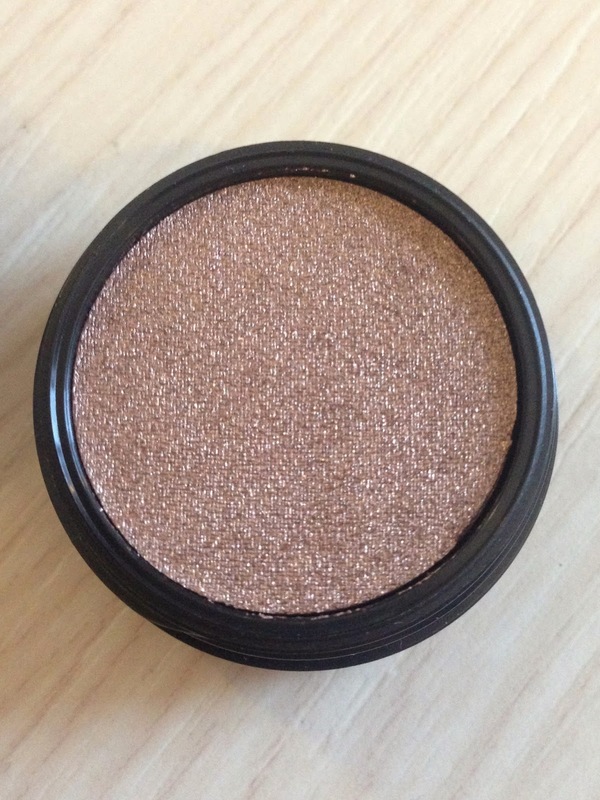 Amber Haze is for a nighttime look on brown eyes. 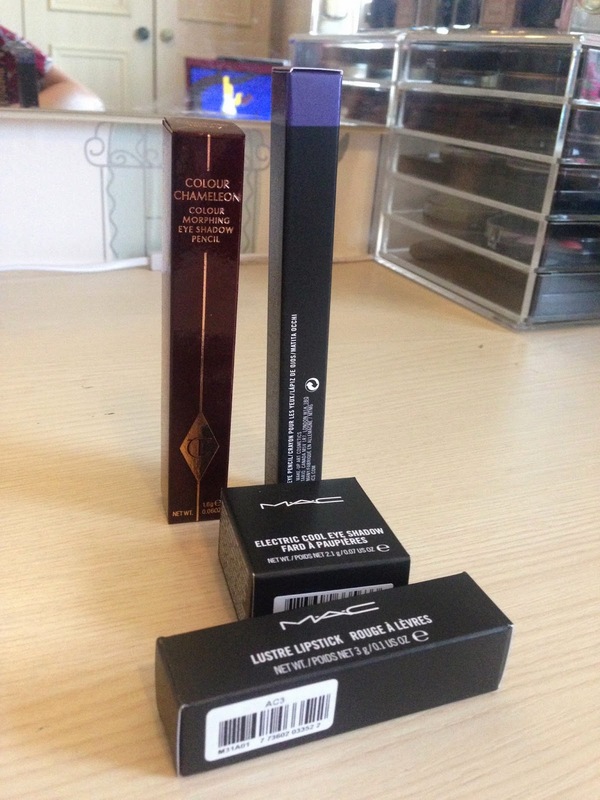 The one thing I am glad I got is the Electric Cool Eyeshadow in Superwatt (£15.50). 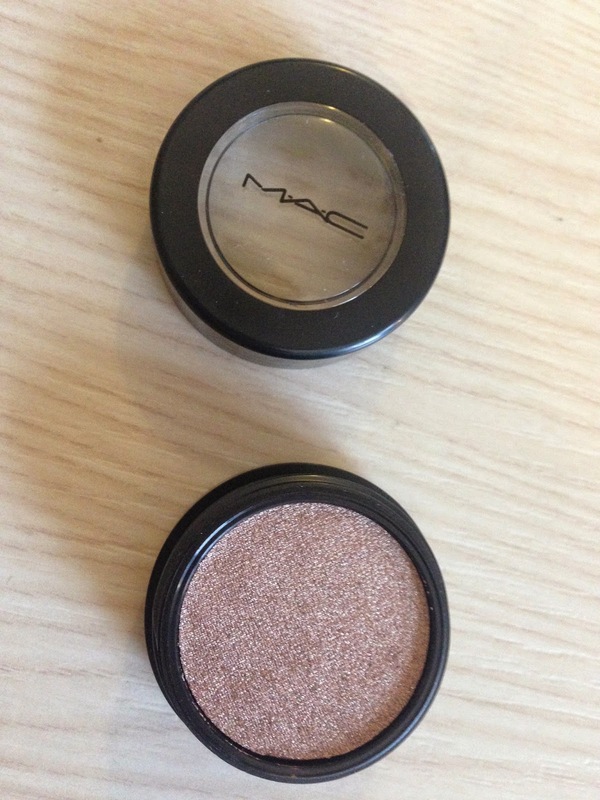 It's a gorgeous warm taupe shimmer cream eyeshadow that can be worn alone or brushed on top of something else. I want to try it on top of my Maybelline Colour Tattoo in Permanent Taupe. 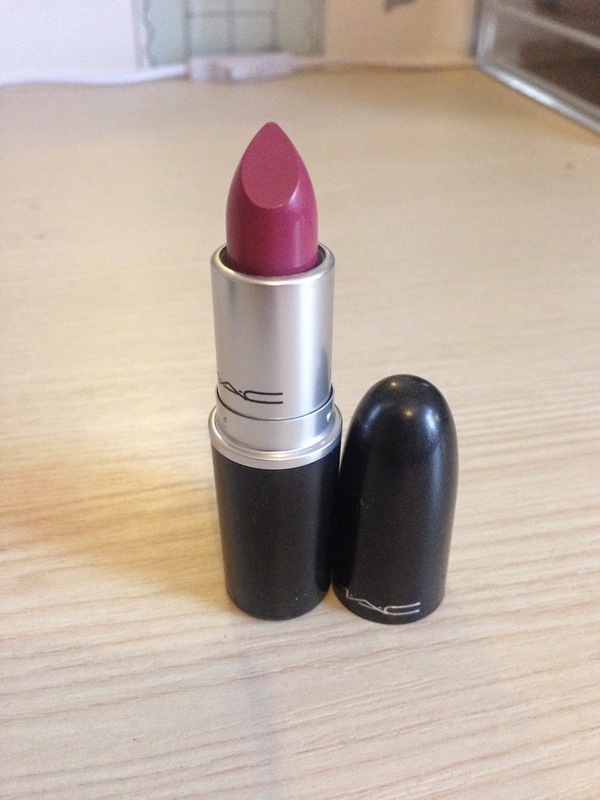 I believe MAC did have these in a couple of years back and they've just been re-released with the Novel Romance collection. 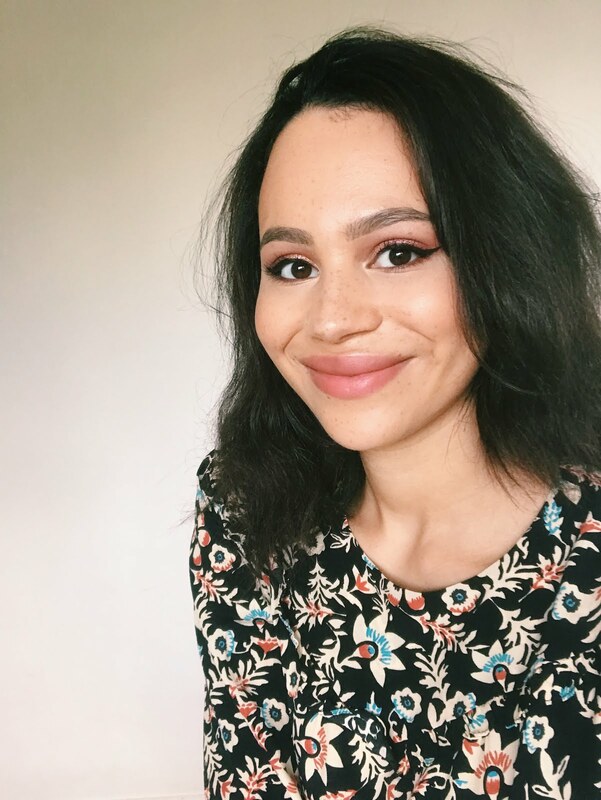 I also picked up a Lustre Lipstick in Plumful (£15.50), which looked great in the basement but once I'd gone out into natural light, not so much...I didn't think it was that flattering on me and to be honest I prefer my Revlon Lip Butter in Sugar Plum. The second disappointment was also from the Novel Romance collection. Again, this was simply a case of it looking a different colour outside of the artificial underground lighting. 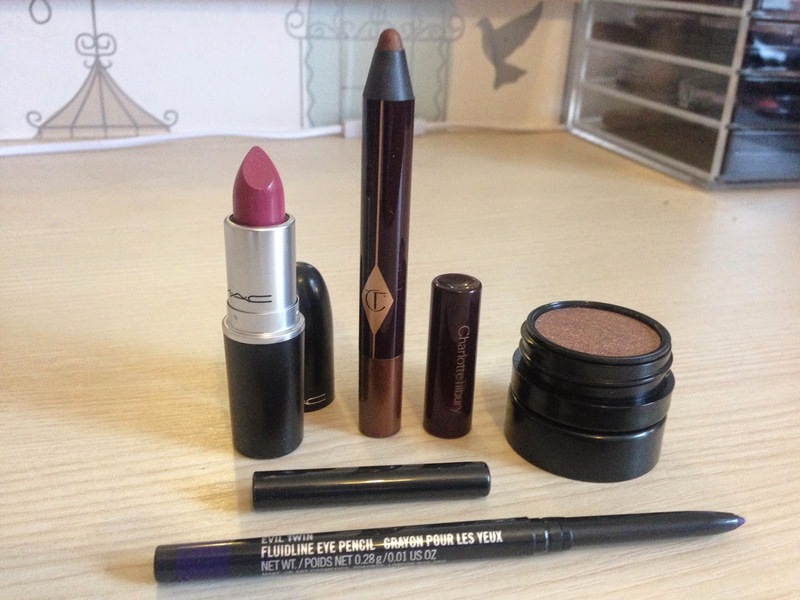 I got the Fluidline Eye Pencil in Evil Twin (£15.50), it looked a really deep plum shade in-store but it's actually a very vivid purple-blue.